A traveling companion can add so much to a trip. Whether you are going on a grand adventure or an afternoon jaunt memories can be made, memories that you have no idea on that day that they may have to last a life time. This last week we said goodbye to my father. He was a homebody to the max, but during this last year, we had some grand jaunts my dad and I. 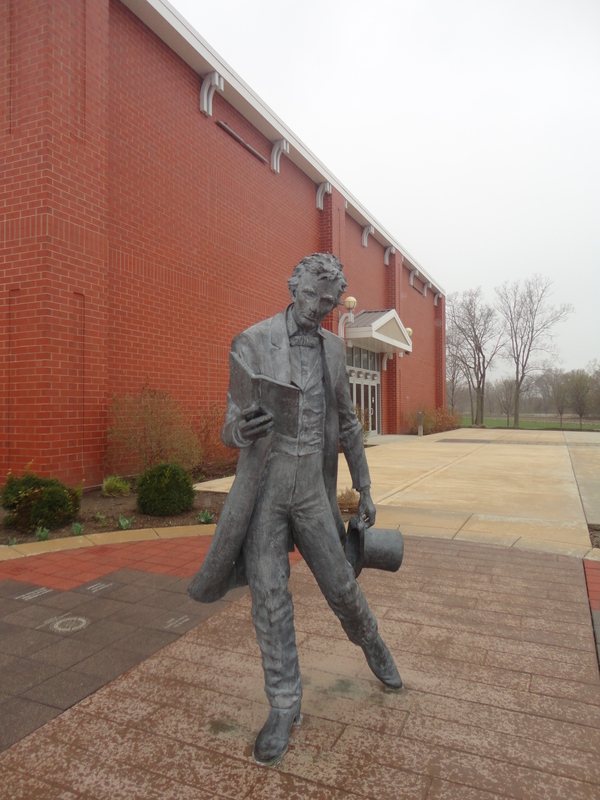 He traveled with me to visit a museum in Lincoln, Illinois straight there and straight back of course as was his way, but the Lincoln Heritage Museum will always be special to me because we went together. Unlike his usual self he a former teacher, albeit only for a short time, that day was quite vocal on his opinions of Lincoln and what the man was like during our visit. He said quite a bit to the Director as we traveled from exhibit to exhibit. He had written a paper about Lincoln and his religion and through his thoughts on Lincoln I gained insight into my father, a quiet man’s, thoughts as well. My favorite grand jaunt with him this past year was to Salisbury, Illinois where my mom and dad and I visited my friend Rose who lives in the town where my dad was born and lived the first eight years of his life. It was a happy place for my father and we drove all over town and he pointed out where he was born, where he tore through the streets being a boy and making the paths his own. Living a youth that sadly no child can have today, a freedom that no eight year old is allowed anymore. He also shared the hard work, the lawns mowed, the gardens grown and the love he had of his great-grandmother that shaped the man I so loved. Yes, a traveling companion whether your dad, your lover or your friend can add so much to a trip. While you have the chance take the time to tell them how you feel and how wonderful they really are. One morning early this week, Garth Brooks song “If Tomorrow Never Comes” came on the radio and tears ran down my eyes as he crooned the words “would she know how much I loved her”. Thankfully I know how much he loved me, more than words can say, more than phrases I can write and today I am living on his kind words, his gestures, his smiles and remembering those short cherished afternoon trips. In answer to Brooks words,”Is the love I gave her in the past, Gonna be enough to last, If tomorrow never comes” and the answer is yes, it is enough to last until my last breath. Tell your traveling companion how special they are, lay it all on the line. Next Post: Murals, art in unexpected places. Cindy, I am so sorry for your loss. It is good to have those wonderful memories, but I do know there will be a hole in your heart for some time. May God be with you as you grief your dad’s passing. Thank you Charlotte, there is truly a hole that will take a long time to close, he surely was loved!